Master key ideas in math, science, and computer science through problem solving. Learn through interactive problem solving – proven to be more effective than lectures. Enjoy thousands of explorations written by award-winning teachers, researchers, and professionals. Stay sharp in math and science – solve daily challenges in bite-sized sessions, made for ages 10 to 110. Whether you want to hone your quantitative skills, improve your knowledge of science and technology, be a smarter parent for your inquisitive kid, or simply stay sharp, Brilliant helps you grow as a curious and ambitious person. 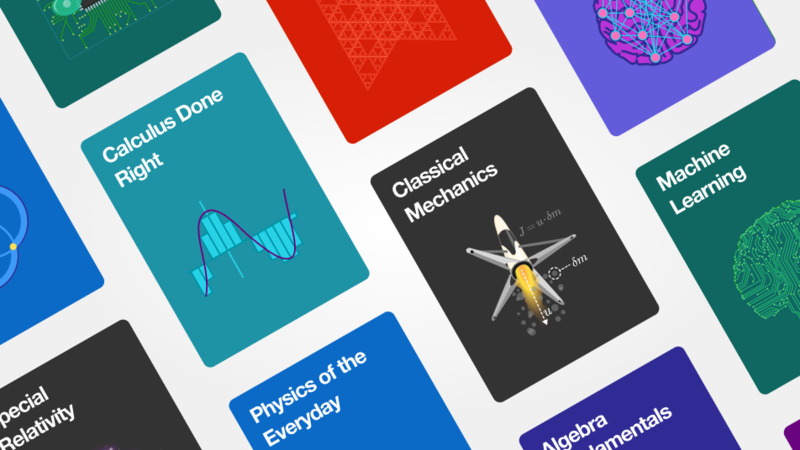 Brilliant’s entertaining and educational course library is perfect for beginners, but also includes intermediate and advanced topics for professionals and lifelong learners. Excellent app, beautifully laid out, engaged community. Brilliant’s inspiring, interactive learning experiences have garnered tens of thousands of 5-star ratings, and rave reviews around the world. Brilliant guides you through an interactive exploration of concepts and principles, and helps you build your quantitative intuition. Learn frameworks for thinking and solving challenging problems, instead of memorizing formulas. Stay fresh by solving daily challenges with an engaged community of lifelong learners. Easily switch between your computer and mobile device. Learn anywhere with our Android and iOS apps.